An aviation trainer, not resembling a particular type of aircraft, it is used to train pilots of all types of aircraft. Box-shaped fuselage with monoplane wings and a tail assembly. The cockpit is enclosed with a clear Perspex canopy. 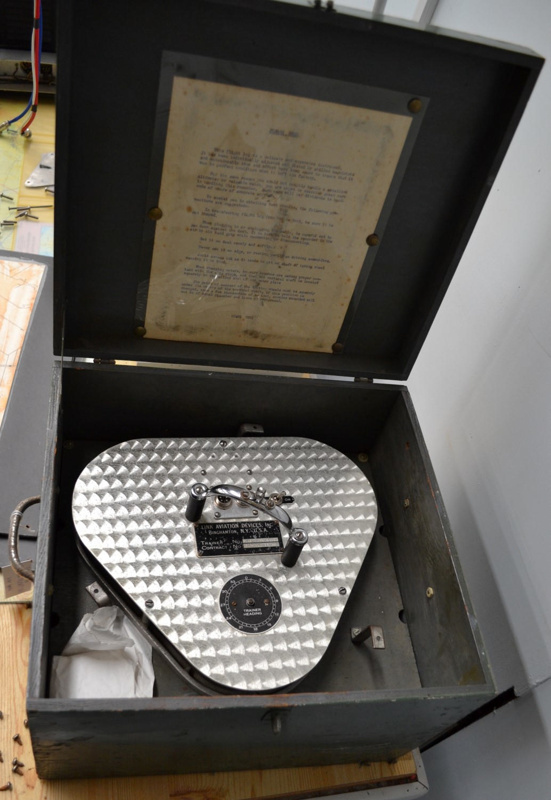 The trainer is fixed to a black revolving drum and this sits on a black metal box filled with electrical circuitry. The aircraft is linked to an instrument panel located nearby on a table. There are 4 dials on the rectangular, grey wooden box. 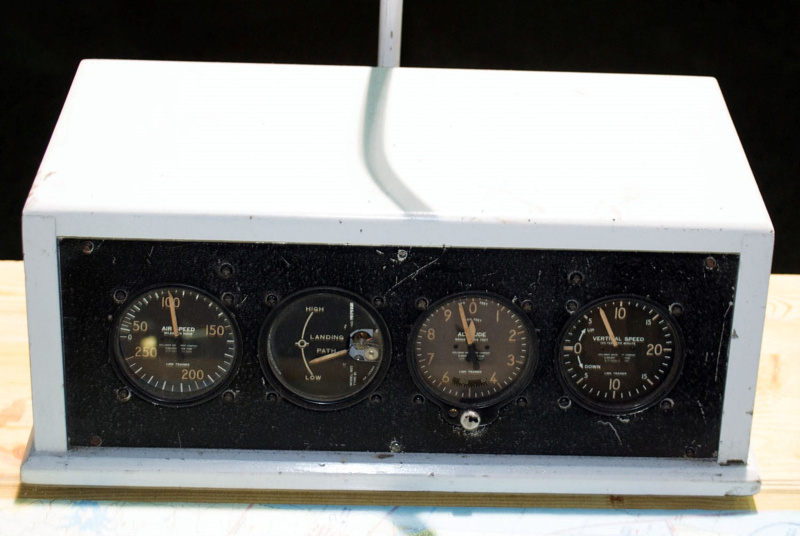 From left to right the dials are: Air Speed, Landing Path, Altitude, Vertical Speed. Colours: Blue, red, silver, white, black. (Blue fuselage, silver wings, red rudder).